All Teeswater pelts in group 256 come from nearly identical lambs, with the only differences being variations in size and staple length, due to age differences when processed. They all exhibit excellent lock structure and beautiful luster. 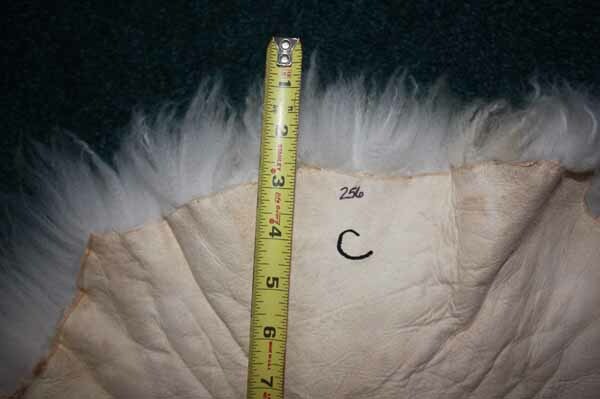 Any holes are clearly evident in the photos, and none are visible from the wool side. 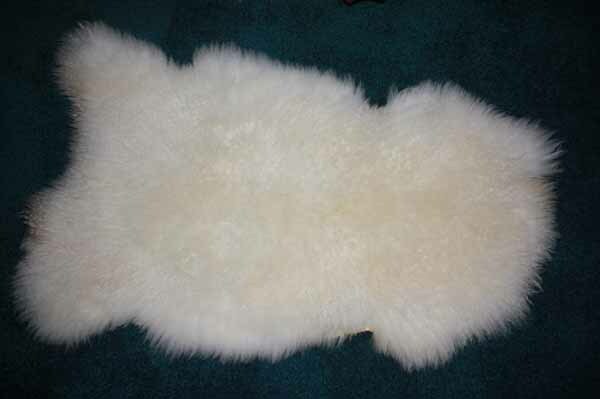 Teeswater pelts are soft and silky to the touch, with medium cushioning properties. They work well in a variety of uses. including draped over furniture, in bassinets (they are washable), or as rugs in low traffic areas, such as next to a bed. 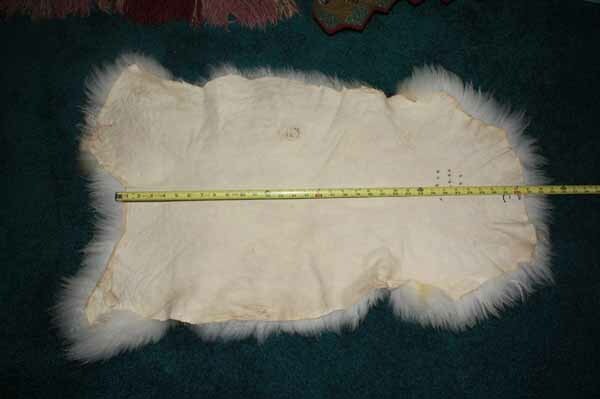 This pelt is bright white and very flashy. The lock is quite fine and soft.